The five-day raid was conducted in major cities like Los Angeles, Chicago, Atlanta, San Antonio, and New York City. U.S. Immigration and Customs Enforcement (ICE) told reporters from The New York Times on Sunday that they have arrested 680 immigrants across at least 11 states last week. The ongoing raids come after Trump enacted several immigration policy executive orders, including the giving more authority to local law enforcement. The raids have been reported in California, North Carolina, South Carolina, New York, Virginia, Illinois, Kansas, Indiana, Wisconsin, Kentucky, and Missouri. On Sunday morning, Trump took credit for the massive ICE sweeps on Twitter. Organizations like the ACLU, the Immigrant Defense Project, and United We Dream have prepared guides and toolkits in multiple translations on what to do if ICE shows up at your front door or workplace. 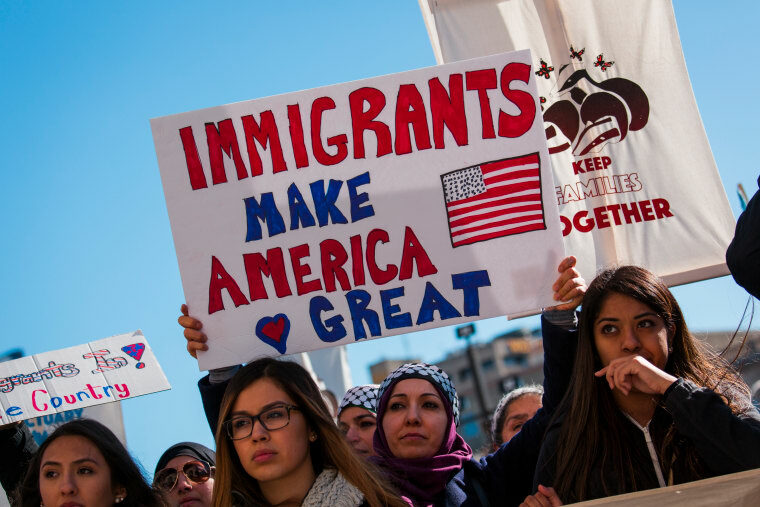 Many have also taken to Twitter with hashtags like #ICERaids and #DeportICE to keep their local communities on high alert regarding the presence of immigration officials in their neighborhoods.